The Kirolbet improved in the second quarter and controlled the duel against Monbus in the second half to maintain their fight for the top positions of the ACB. 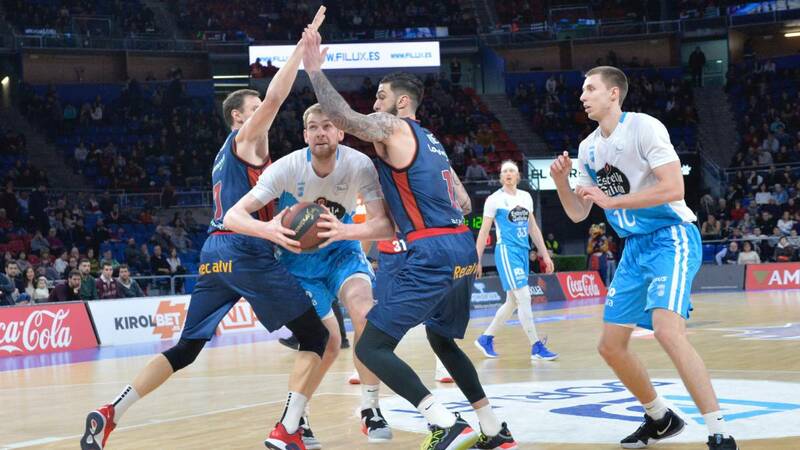 Kirolbet Baskonia gave Monbus Obradoiro (72-63) no option in a sober game, which started in the second quarter and controlled during the second half, to keep the fight for the first positions. Vitorianos burst the match in the second assault. Between the final minutes of the first and the start of the second delivery, Obradoiro fit a partial of 15-2. Those of Moncho Fernández only added 8 points in the second period and it took 6:20 to score 2 points (from Llovet). The three-pointers of Janning (3) stretched the rubber in favor of Perasovic's team. The maximum reached the break. The first of the quarters had been very even despite an initial pull of the Galicians (6-13). Singler was the top scorer of his team but a partial 7-0 placed the light in a draw at 13. Determined in league Jalen Jones, who made three fouls in three minutes. Things went on similar paths in the third quarter ( Monbus scored 4 points in the first six minutes) and Baskonia opened the gap further (47-30, min.26). The most outstanding man in those moments was the debutant in league Jalen Jones. He defended, bounced and scored. Vasileiadis took (incredibly) 29 minutes to score. He did it thanks to a triple. Perasovic saw things so well on track that by minute 28 he had already put the young Miguel González into the game, who plays only on rare occasions. The Galician percentages were very poor and Fernandez wasted time until the last breath. the last quarter served for Vasileiadis to make up his statistics and for Baskonia to enjoy a quiet final sprint. Seeing Sedekerskis, Granger, Shengelia, Penava and Garino dressed in tracksuits continues to hurt the eyes.